You’ve got the power to create the business, career, and life you love. I’m here to equip you with the psychological tools you need to succeed without sacrificing your health, well-being, and happiness. Hi, I’m Natalie – I’m a Mindset & Resilience Coach for women who dream of making an impact, creating a thriving business, and living their life on their terms. Using my extensive training in psychology, I help driven women and female entrepreneurs overcome limiting beliefs and harness the inner strength, determination, and perseverance needed to achieve their ambitious goals. If you’d love some personalised guidance and support to get unstuck, gain clarity, strengthen your confidence, overcome challenges or resistance, and start taking consistent, aligned action to build, launch or grow your business (without the overwhelm) – click here to see how my online coaching can support you in pursuit of your entrepreneurial dream. Because with a clear goal, the right mindset, and purposeful, persistent action… everything becomes possible! Are you ready to ditch self-doubt, tap into your full potential, and make your dream a reality? Will you dare to see your vision through? 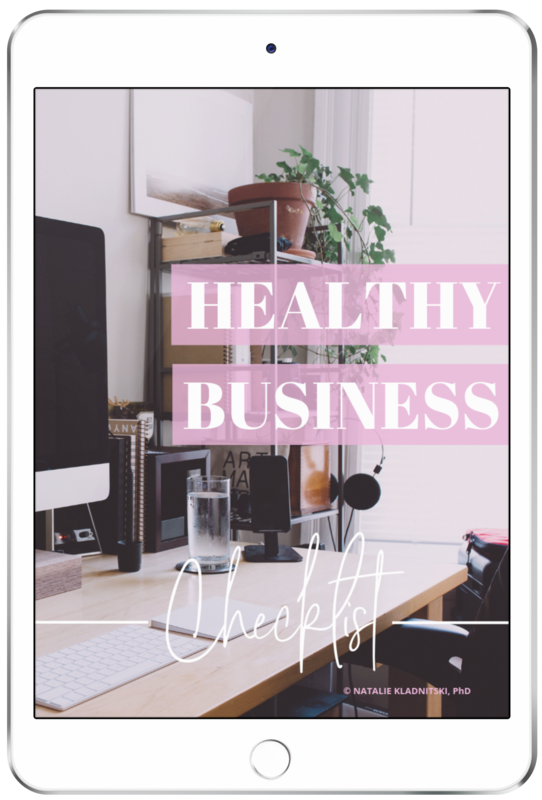 Download my brand new Healthy Business Checklist! Ready to make 2019 your best year in business yet? 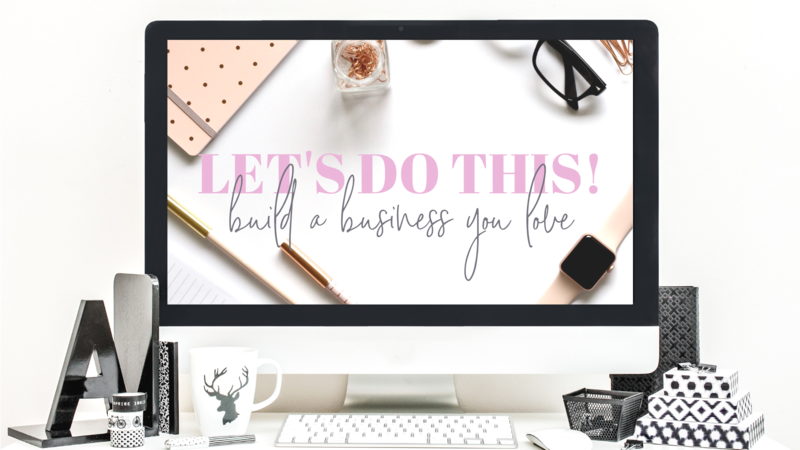 My new online program is all about helping you build a business you love! Click below to grab a free copy of these self-help guides. Receive exclusive lessons, insights, and updates from me by joining my e-mail community.